For the 2019 general elections in Andhra Pradesh, Power Star Pawan Kalyan’s Janasena Party has formed the alliance with Mayawati’s BSP and Left Parties- CPI, CPM. They have already started the election campaign across the state. Today, Mayawati will address a public meeting at Basava Punnaiah Stadium in Vijayawada. CPI and CPM leaders will also participate in the program. A huge number of Janasainiks will be attending the meeting, for which the party has made the necessary arrangements. Ahead of the meeting, JSP Chief Pawan Kalyan gave an interview to a TV channel where he made some interesting revelations. He also gave clarification on his recent controversial remarks on Telanganites and KCR. 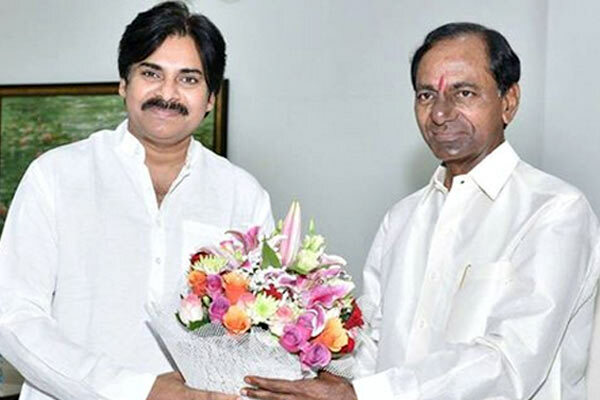 About his comments on KCR and Telanganites, Pawan clarified, “I always have great respect for KCR gaaru and Telanganites. While leaders of Telangana had fight with the sole agenda of achieving the separate statehood, our Andhra leaders are pure business men and are selfish. There have been comments that, the crowd coming to Janasena meetings is youth who do not have the vote right and also ladies. “That’s the problem with our leaders. They care about only voters, not the next generation,” he affirmed. Rajamouli Missed Him, RGV Did Not! Mahesh Babu Scared Of Bollywood!